Kinsley James is excited to be the FIRST store to showcase GALA and Galia Lahav's brand new collections. You could be the first bride in the world to wear the new 2020 collections, MAKE A SCENE and Collection VIII. This exclusive event is one you won’t want to miss! Appointments will book up very quickly as we will be offering special pricing for this trunk show. Call 925-330-9228 or email info@kinsleyjames.com to reserve a spot! We are so excited to introduce Angel’s brand new Spring 2020 Collection. Debuting straight from New York Bridal Fashion Week, there is sure to be a look for every bride! Still looking for a veil? We are excited to have a huge selection of veils from Toni Federici at our West Hollywood location! There will be a variety of veils from clean and classic to elaborate veils adorned with sparkle, lace, and trim. "Toni Federici is the only company in America where skilled artisans cut, sew and embellish couture veils by hand"
Don't miss out on finding a gorgeous headpiece to complete your look and make you feel like a BRIDE! Tara LaTour's renowned for her unique, colorful and playful designs. Her newest collection will be at our trunk show in Walnut Creek! "I set out to create a brand where modern ideas meet the romanticism of the past, both aesthetically and ideologically. I design using modern silhouettes that have vintage inspired and hand crafted detailing, all while using the finest fabrics. I also believe in local and true craftsmanship, which is why a 100% of our gowns are made in the US." We are so excited to showcase Netta BenShabu’s NEWEST collection, EUPHORIE, at our Walnut Creek location. Netta BenShabu, a top Israeli designer, is known for her intricate yet delicate patterns and designs. Join us for a night of fashion, treats, and bubbly with a VIP look at the EUPHORIE collection with live models and special appearance by designer Netta BenShabu. Gather your girls and RSVP to info@kinsleyjames.com to reserve your spot! Are you looking for an elegant, timeless wedding dress? If so, you won't want to miss the Blue Willow by Anne Barge Trunk Show! 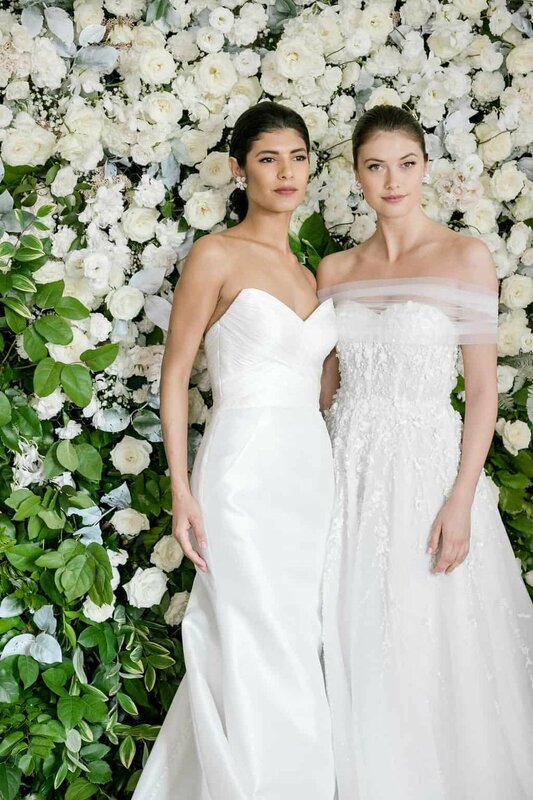 Anne Barge wedding gowns have been renowned for combining timeless elegance with current trends for the discerning bride. Her styles embody romance with classic details and a sophisticated flair. We can't wait to make you a #KJbride! Notte by Marchesa will have their newest collection at Kinsley James all weekend long! Coveted not only by celebrities, but by women of all ages, Marchesa continues to be the centerpiece of iconic red carpet moments and high end fashion alike. Appointments will book up quickly as we will be offering special pricing. Call 925-330-9228 or email info@kinsleyjames.com to reserve a spot! Kinsley James Walnut Creek is excited to showcase the newest collection of RIVINI by Rita Vinieris. RIVINI bridal gowns are the perfect pick for a timeless and romantic wedding day look! With their soft, crisp and creamy shades of bleached white and ivory and their sweeping silhouettes, RIVINI brings in a refreshing new era of simple luxury. Are you looking for an elegant, timeless wedding dress? If so, you won't want to miss the Anne Barge Trunk Show! Anne Barge wedding gowns have been renowned for combining timeless elegance with current trends for the discerning bride. Her styles embody romance with classic details and a sophisticated flair. We can't wait to make you a #KJbride! To keep our inventory fresh and make room for new gowns, we are having a HUGE Sample Sale with dresses and accessories marked down as low as 70% off! All dresses will be priced from $800 - $7,000! Doors will open at 10am and brides will be seen on a first come, first serve basis. Please plan to get here early! Each bride will be limited to 40 minutes. You will have an experienced stylist assist you in selecting gowns. The rooms will be limited to 3 gowns at a time. Sample Sale gowns are floor models that range from a bridal size 8 to 18. We recommend bringing only 1-2 guests who are helpful in making your decision. Gowns are sold as is. Alterations are not included; however, we will provide information on local seamstresses. Payments will be made in full at the time of purchase. The gown will be yours to take home that day! We will only be accepting cash or credit card. We wait to announce which dresses will be included in the sample sale until the morning of, to keep things fair and fun! Only Sample Sale gowns will be on display, so this event is for experienced shoppers. It's best if you figure out your shape and style prior to your appointment. Come ready to find your dream dress! This is the only time to get a steal of a deal on our gowns. We can’t wait to make you a #KJbride! 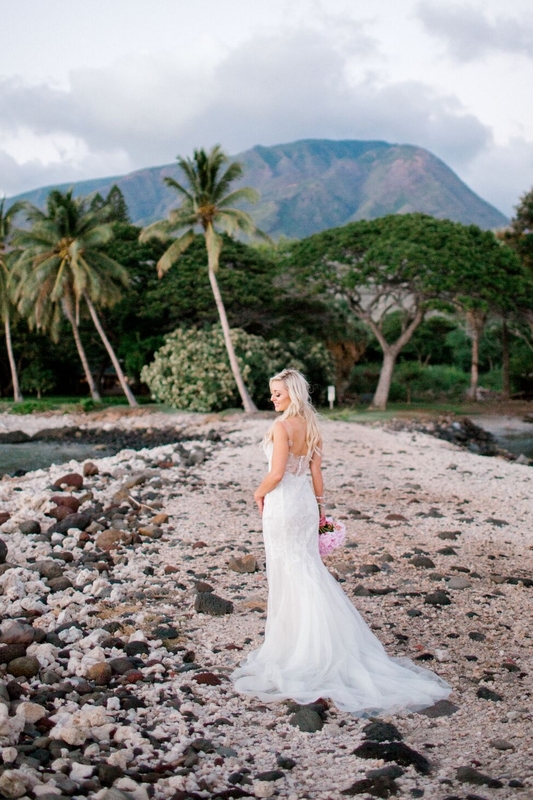 Kinsley James is excited to showcase Galia Lahav's newest collection, ALEGRIA. Appointments will book up quickly as we will be offering special pricing for this trunk show. Call 925-330-9228 or email info@kinsleyjames.com to reserve a spot! GALA by Galia Lahav will have their newest collection at Kinsley James all weekend long! The latest GALA collection combines an ease and flow to allow for expressive movement with high quality and a fashion-forward bend, inspired by music’s many genres and icons. We are so excited to introduce Angel’s brand new Fall 2019 Collection. His new collection is filled with nostalgia, charm and luxury. Join us in Walnut Creek to be styled by Angel himself during the Angel Rivera Trunk Show! 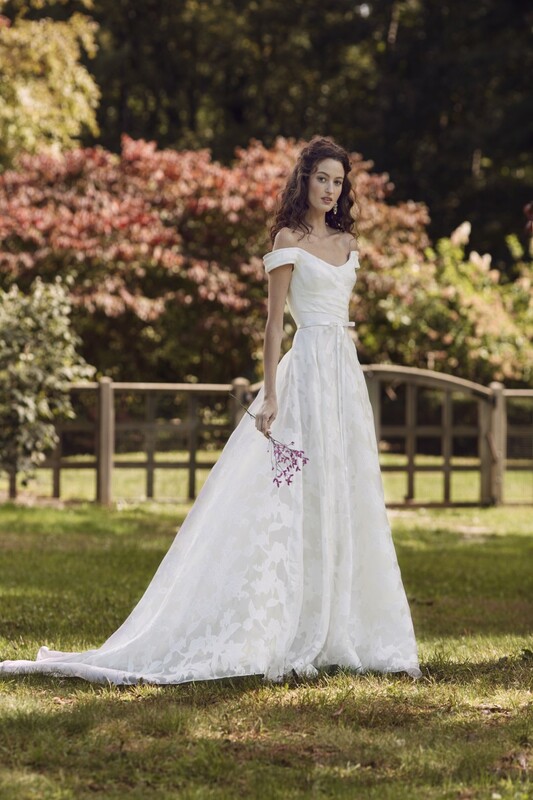 Our Walnut Creek location will be holding a Liancarlo Trunk Show displaying the New Fall 2019 Collection. In Liancarlo's new collection, he proves to be equal parts designer and artist. He transitions his paintings into lace, beading, and appliqués to give the Liancarlo gowns a new edge. If you're looking to bring a unique flare to your big day, this is the designer for you! We are so excited to welcome Madeleine Fig to our Walnut Creek location for a trunk show featuring their brand new line! Madeleine Fig offers one of a kind pieces for the discerning bride made of textural mixes, unique fabrics, and a signature combo of white and natural hues. This designer caters to the timeless bride who likes a modern edge! Reserve your spot today as we will be offering special pricing for this trunk show! Call (925)220-9228 or email info@kinsleyjames.com to book and appointment. We can’t wait to make you a #KJBride! Our Walnut Creek location will be holding a Liancarlo Trunk Show displaying the New Spring 2019 Collection. A Liancarlo dress is stunning proof that classic does not mean boring. From metallic threadwork to blossom-dotted bodices inspired by his paintings, every piece shows that Carlos is equal parts designer and artist. GALA by Galia Lahav will have their newest collection, GALA No. 6, at Kinsley James all weekend long! Kinsley James is excited to showcase Galia Lahav's newest collection, Queen of Hearts. Brides will receive special pricing during the event and spots are limited. 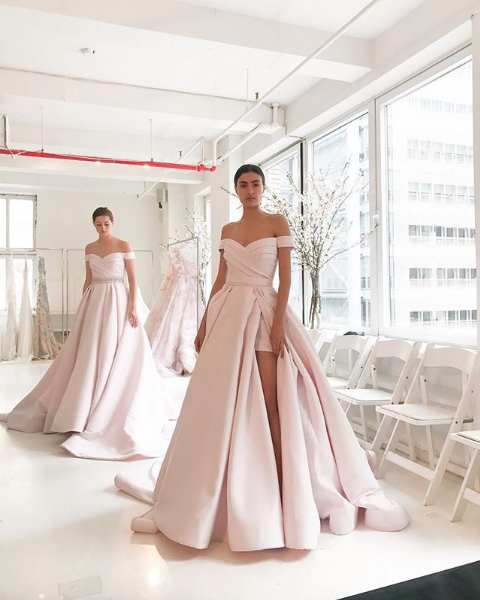 Bridal Designer Angel Rivera will be at Kinsley James for three days to debut his most recent collection! The Angel Rivera collection is the essence of sophistication and glamour in its dramatic silhouettes, finest silks and spectacular beading. Angel Rivera designs for the bride who commands the spotlight. Don't miss the chance to see this gorgeous collection and meet this amazing designer! Still looking for a veil? We are excited to have a huge selection of veils from Toni Federici in our Walnut Creek store for over a week! There will be a variety of veils from clean and classic to elaborate veils adorned with sparkle, lace, and trim. "Toni Federici is the only company in America where skilled artisans cut, sew and embellish couture veils by hand". Don't miss out on snagging a gorgeous headpiece to complete your look and make you feel like a BRIDE! We are so excited to have the newest collection of Liz Martinez at our Walnut Creek location. Her strict attention to detail and ability to flow with current trends have placed her as one of the most significant, fresh, and innovative designers to come out of Israel. The Ambassador for Idan Cohen is flying all the way from Israel to style our lovely brides! Don't miss your chance to experience this amazing opportunity and see his brand NEW collection.